Wear a hat in the sun and seek shade if you are outside for a prolonged period, especially between the hours of 11 a.m. and 4 p.m. You can also create your own shade with an umbrella. The UV rays in sunlight can cause ocular melanoma and also contribute to the development of certain types of cataracts, so be sure to wear sunglasses on sunny days. Slap on that sunscreen as often as possible, even on cloudy days. You should use SPF 15 as a minimum, but preferably SPF 30 for complete protection. 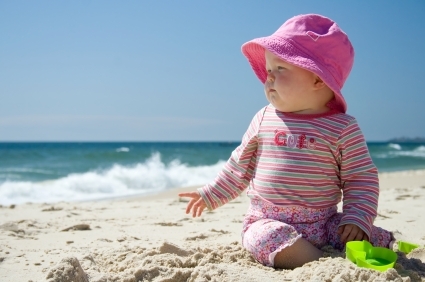 Babies and toddlers have thinner skin and should be kept out of direct sunlight altogether. Make sure young children ride in a covered stroller with their arms and legs protected with light, loose-fitting clothes. Keep an eye on your skin and consult your GP if you notice any colour, size or shapes changes in moles. Your GP will be able to refer you to a specialist if necessary.